Stay close to Panorama Route attractions like the Blyde Rive Canyon, God's Window or the Three Rondavels in Mpumalanga, South Africa. The magically alluring landscape of the Panorama Route makes it to the top of the visitor's list for South Africa's natural attractions. With its astounding canyons and bedazzling rock formations, it offers a journey that will exceed every nature-lover's expectations. The Blyde River Canyon, Berlin Falls, Mac Mac Falls, Bourke's Luck Potholes and God's Window are among the main highlights of the Panorama Route that you will discover on a day tour. 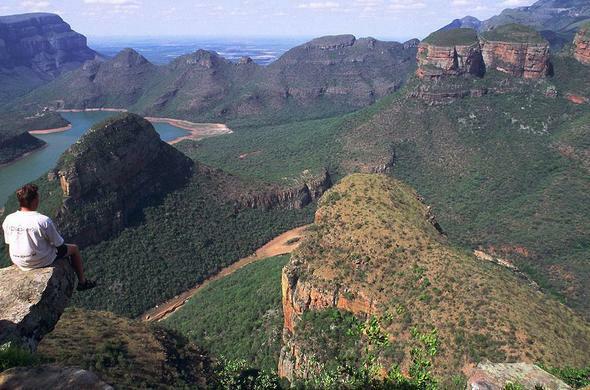 The Panorama Route is rich in plant and animal life and klipspringer, kudu, bushbuck, baboons, bushpigs, monkeys, nesting eagles form part of its diversity. 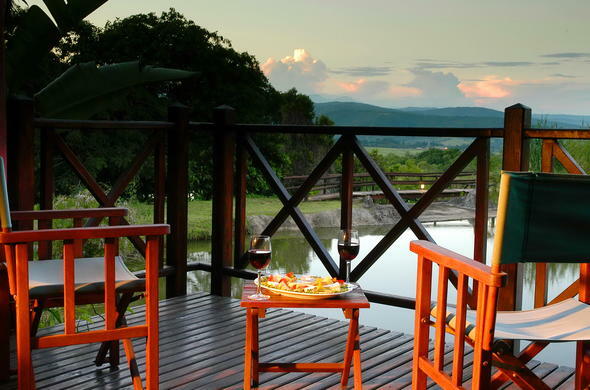 Panorama Route accommodation is offered at a number of countryside hotels and lodges in Mpumalanga. These hotels and lodges serve as a base location to explore the Panorama Route. Hot-air ballooning, hiking trails, boat trips, zip lining and river rafting are just a few of the experiences you can enjoy. 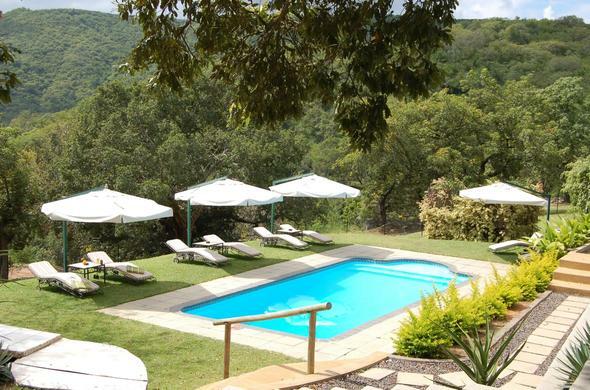 This lodge is within close distance of Mpumalanga's best sights on the Panorama Route such as the Blyde River Canyon, Pilgrims Rest and God's Window. Take in amazing views from your own private patio of 50 hectares of pristine bushland at this exclusive and luxurious lodge near the Panorama Route, South Africa. 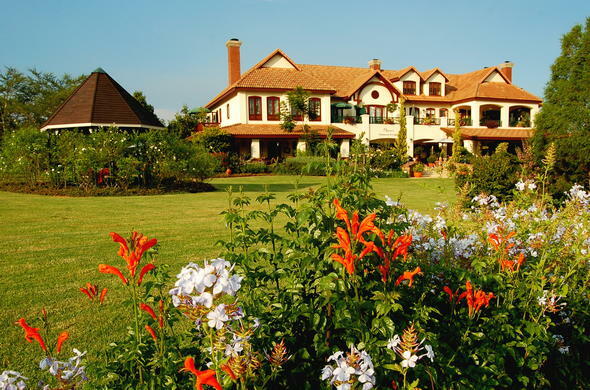 Olivers Restaurant and Lodge This country hotel is located on the White River Estate in Mpumalanga serves as a base destination to explore the Panorama Route and Kruger National Park. 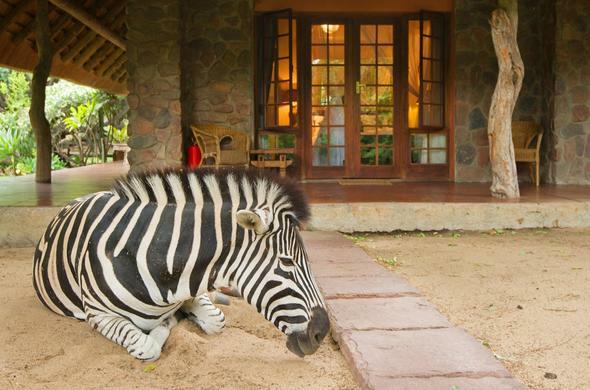 Blyde River Canyon Lodge Explore the natural wonders of the scenic Panorama Route in Mpumalanga, South Africa. Enjoy tours to historical towns, kloofing, microlighting, horse riding and many more while staying in the Panorama Route.